Commercial kitchens need periodic kitchen exhaust hood cleaning Culver City CA in order to maintain compliance with various fire safety codes. Without frequent cleaning, vaporized grease generated during cooking can congeal on the insides of the exhaust hood and ductwork, resulting in a dangerous fire hazard. Should the congealed grease become superheated, it could ignite. The deeper inside the exhaust system the fire is, the more devastating it will be. Fortunately, you can turn to Flue Steam for expert kitchen exhaust hood cleaning Culver City CA to reduce your risk of fire and keep your kitchen safe. But which cleaning method should you request? We offer the following two methods. Hand scraping is a simple and effective way to remove grease from the kitchen exhaust hood and other parts of the exhaust system that we are able to reach by hand. We literally scrape the layers of congealed grease off of your exhaust system walls using a metal tool. We can use an IKECA depth comb to measure the grease deposits before and after scraping to prove that we’re doing a good job. Hand scraping is a very affordable way to reduce your grease deposits to safe levels. The down side is that it only works on parts of the system we can reach. 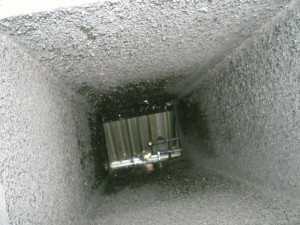 Steam cleaning is a much more thorough method of cleaning an exhaust system. It involves filling the system with hot, high-pressure steam to remove the grease deposits. Because the steam reaches to every corner of the exhaust system, it can remove grease deposits you simply can’t access by hand or even see. The downside is that steam cleaning is more expensive than hand scraping, which can be a problem for business that fry a lot of food and need frequent cleanings. Ultimately, a combination of both types of kitchen exhaust hood cleaning Culver City CA is needed in order to achieve clean conditions in the ductwork and reduce the risk of fire throughout the whole kitchen exhaust system. No matter which method you choose for a given cleaning appointment, we’ll do an excellent, thorough cleaning job and also provide helpful “Certificate of Performance” stickers. These stickers not only help you keep track of your last cleaning date, but also satisfy health and safety code inspectors looking for proof that you are in compliance with your exhaust system cleaning obligations.